Hilton Worldwide is preparing to bring its Hilton Garden Inn brand to one of the UK’s top sporting venues, under a franchise agreement with Lancashire County Cricket Club (LCCC). Emirates Old Trafford has been home to Lancashire County Cricket Club for more than 150 years and has played host to a wide range of international sporting, business and entertainment events. Once construction is complete, the hotel will offer 150 guest rooms, spread over five floors, and a 24 hour fitness centre. 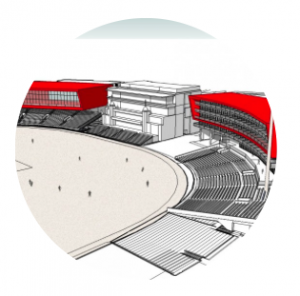 Meet Lancashire County Cricket Club at TheStadiumBusiness Summit 2015 in Barcelona this June. Enquire here for more info.